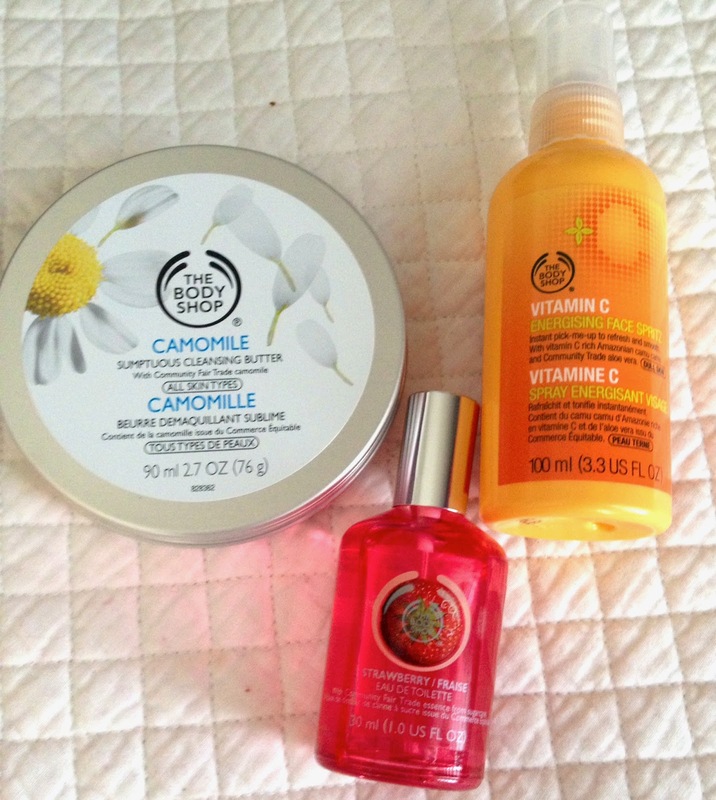 I recently went to The Body Shop because I have been eyeing their Camomile Sumptuous Cleansing Balm but ended up with a little extra goodies as well. This cleansing balm is designed to remove makeup and impurities away and leaving your skin feeling clean refreshed. I personally love The Body Shop skincare and use their Tea Tree Oil face wash daily for years now, but this particular product blows me away. This is the best cleanser I ever bought. No other cleanser has ever removed makeup as gentle or as effective as this one. Just like the description says, it literally melts away the makeup, even on the eye area, and it doesn’t sting or blur the eyes. It leaves my skin is smooth and silky. Not greasy or oily at all! Just a little bit goes a long way, so the price is well worth it. I love the pleasant smell too. I will definitely buy this again and encourage you ladies to try it out. In the past I have bought and used the body mist in Strawberry and just love the scent. It’s very light and wearable not over powering at all. The strawberry scent is very sweet and fruity and the toilette contains strawberry extract, which is a nice feature. But the bottle is a third the size of the body spray, and they work the exact same, but this costs more and comes with way less. The smell is gone within 10 minutes honestly. So when I run out of the toilette I repurchase the body mist instead. I love this product. It’s quick and easy to use – just spritz it on your face when your skin is feeling dull and you will instantly have a radiant glow! TIP– this product also works great as a setting spray after you applied you makeup it locks it in place and doesn’t make you look matte at all! decided to treat myself to some goodies that I can’t wait to try. 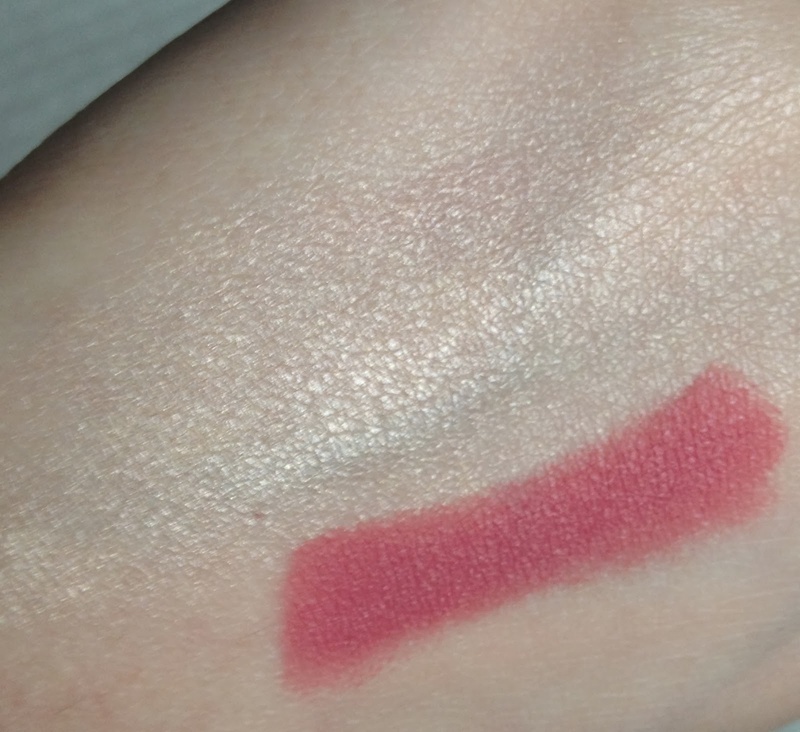 Especially Mac’s Mineralize Skinfinsh in Lightscapade.I was originally going to get Mac’s Soft and Gentle which I’ve had before and loved, so I thought why not try something different. I’m also on the hunt for the perfect baby pink lip that suits me and I’m feeling like it’s impossible. I always feel like it washes me out or its just light and looks like I have “foundation lips”. I’m still on the hunt but I picked up Mac’s Please Me, it’s more of a coral pink but it was the only one I was feeling. Any suggestions on a nice light pink lip for fair skin tones? Please let me know! Ladies, you thought your beauty routine was a lot? Try pulling off 100 years of styles in one minute. A Settle-based creative agency The Cut filmed a time-lapse video recreating looks to match every decade from 1910 to 2010. Simply brilliant reviews of past centuries, the hairstyles and makeup looks are accurately represented. It’s interesting to see how the evolution of society’s standards of beauty has changed in the past 100 years. I personally love 1930’s & 1950’s looks the best, which look is your favorite? Let me know in the comments below, enjoy! Red-wine-lovers, this beauty trend is for you! At New York Fashion Week Fall 2014, deep berry and wine shades were being sported all over the runway. Finding the right shade is key; it all depends on your skin tone but lipsticks such as Mac’s Diva & Nars Scarlet Empress are pretty universal and compliment many skin tones. If you have thin lips, a dark lipstick could make them appear even smaller. So start with a sheer stain and use a lip pencil to fill out the lip ever so slightly. The key to wearing a berry lip is to keep the rest of the face fresh and glowing. Use a sheer foundation and concealer and skip powder entirely. Then apply a blush in a complementary shade or even take a simply sheer out the same lip color on cheeks!